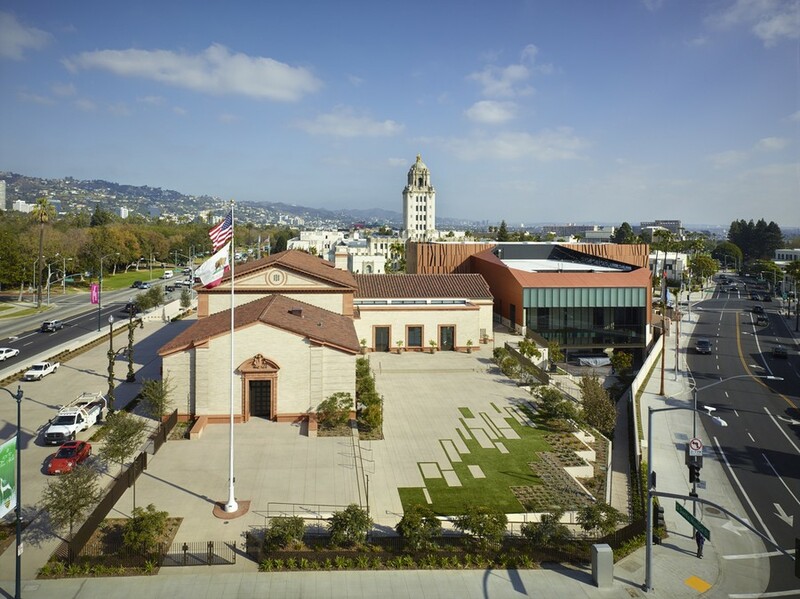 THE WALLIS ANNENBERG CENTER FOR THE PERFORMING ARTS, BY STUDIO PALI FEKETE ARCHITECTS, RECOGNIZED WITH A REHABILITATION AWARD AT THE 31ST ANNUAL CALIFORNIA PRESERVATION DESIGN AWARDS CEREMONY. 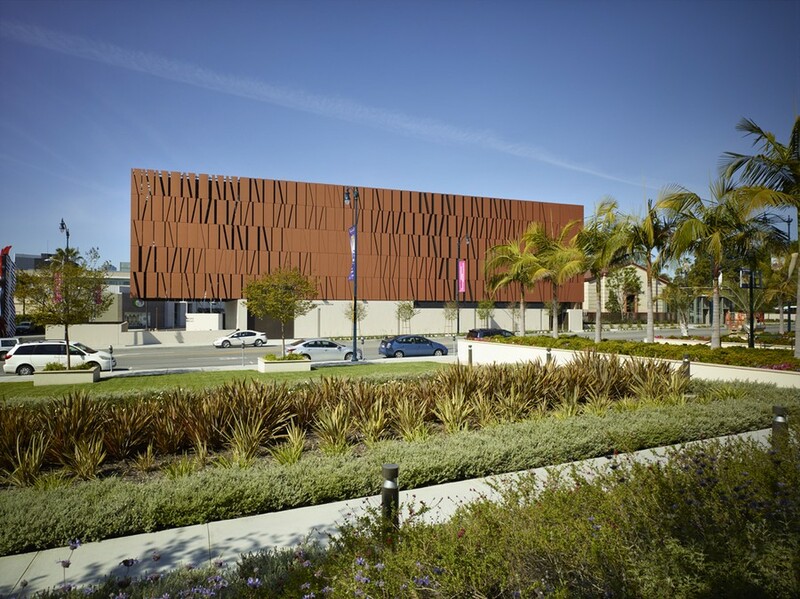 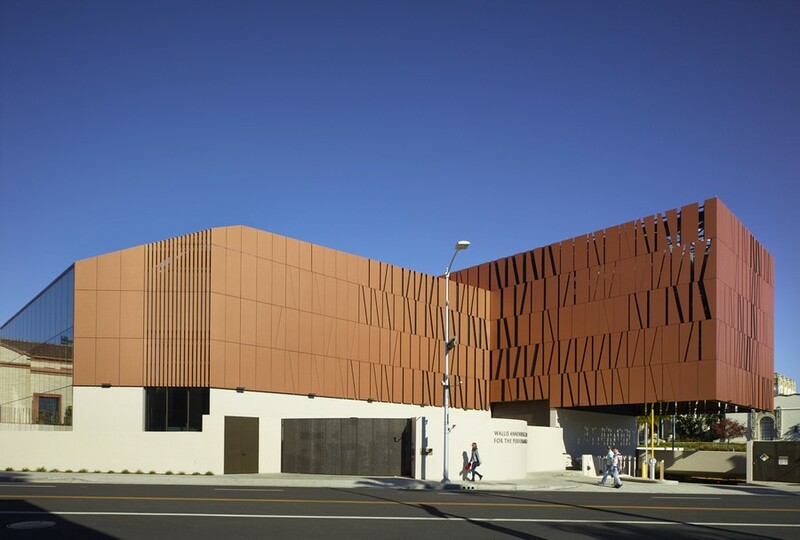 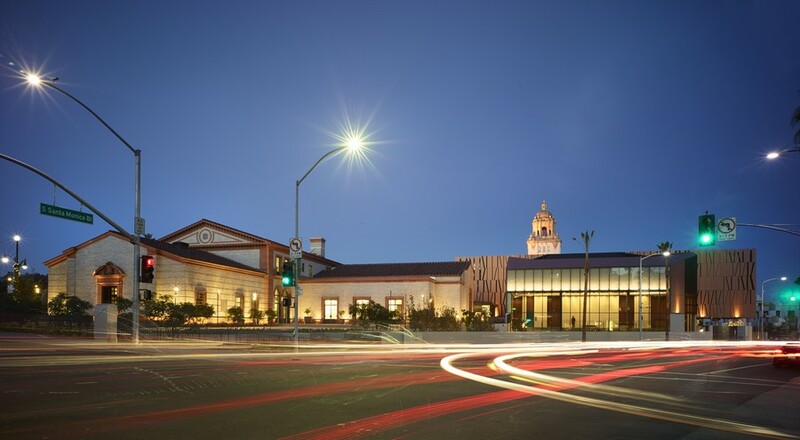 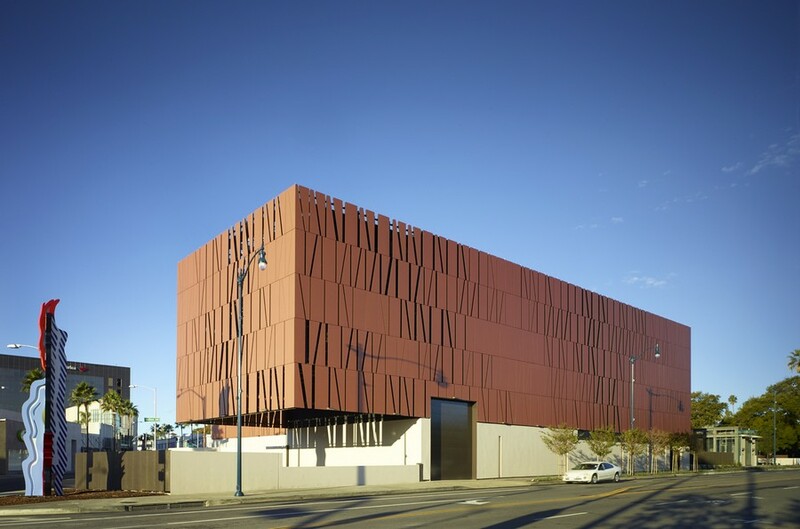 CULVER CITY, CA, September 30, 2014 – Studio Pali Fekete architects [SPF:a] have received an award in recognition of their design for the rehabilitation and redevelopment of the former Beverly Hills Post Office and the creation of the Wallis Annenberg Center for the Performing Arts (“the Wallis”). The California Preservation Design Awards are a state-wide program organized by the California Preservation Foundation to recognize exemplary design work in the realm of historic buildings. 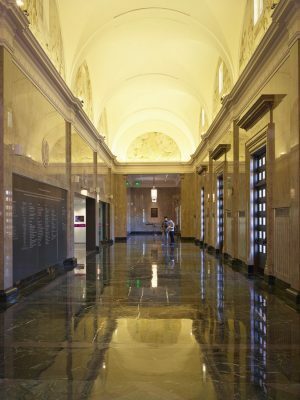 The new 60,000 sq. 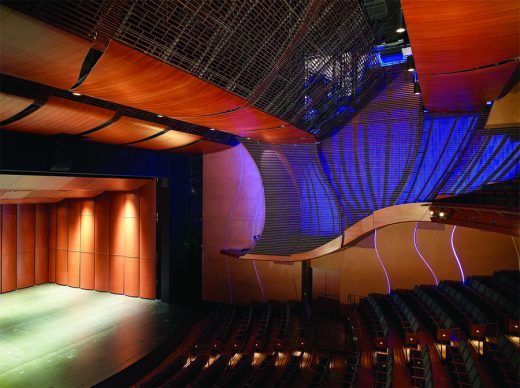 ft., $75 million arts center is located in the heart of Beverly Hills and encompasses two new theaters, educational facilities, administration and theater support areas. 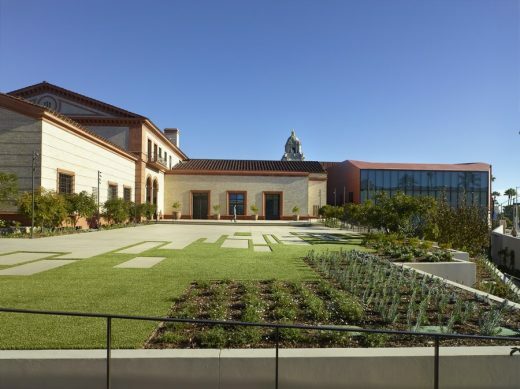 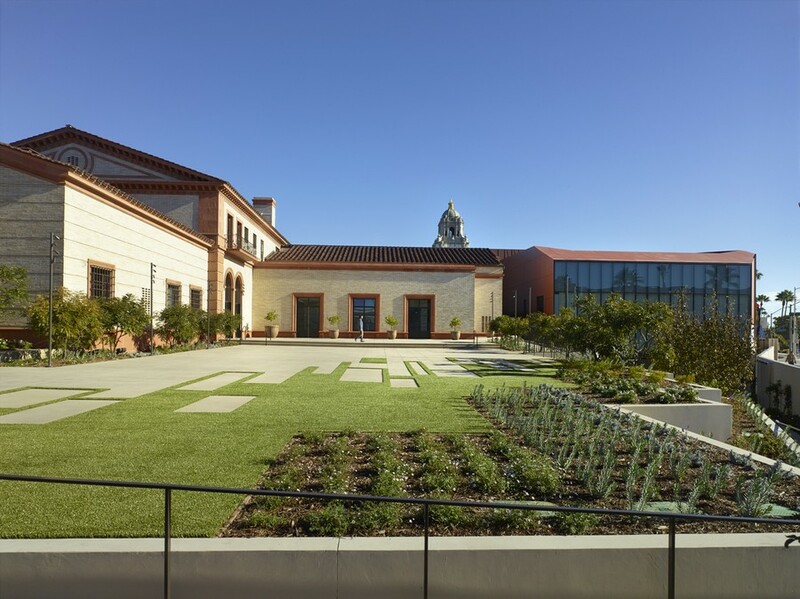 The program is housed in a complex that includes the historic Beverly Hills Post Office building and a new theater block, knitted together by a series of carefully landscaped courtyards and walkways. 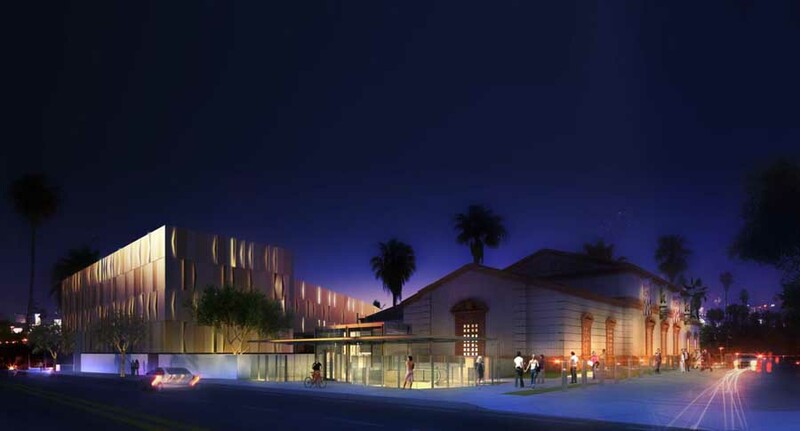 The larger of the two theaters- the 500 seat Goldsmith Theater- is contained within a new building located to the south east of the original historic 1934 Post Office building. The Post Office building has been completely renovated and restored, and is now home to the 150-seat Lovelace Studio Theater, a café and store, a series of educational facilities, a theater administration suite and a full range of theater support spaces. SPF:a were appointed as architects for the project in 2006, The concept that SPF:a created was radically different than proposals that had previously been put forth: rather than place the 500-seat theater in the existing Post Office as others had proposed, SPF:a conceived a brand new adjacent building for the theater establishing a formal counterpoint to the existing historic structure. This innovative design solution allowed the main fabric of the historic building to be retained while also ensuring that the new large theater could be designed without compromise or constraint that would have been an inevitable consequence of using the older structure. 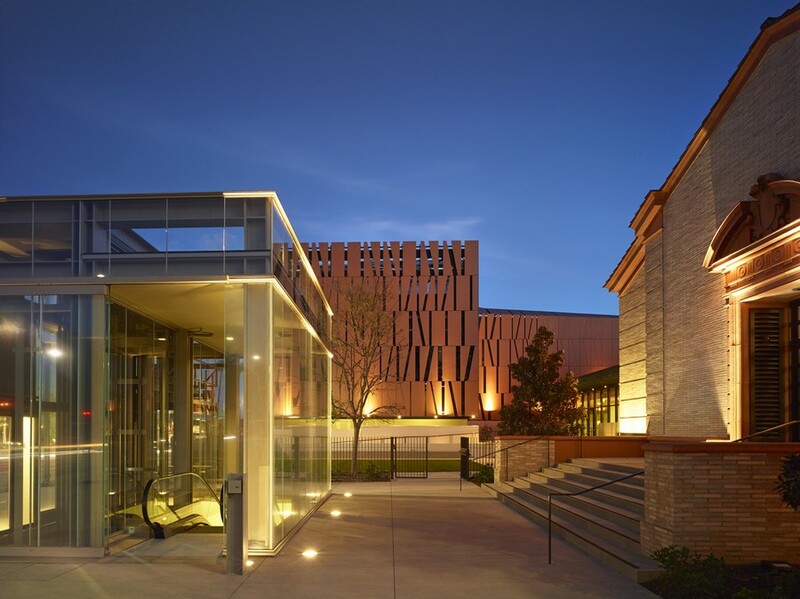 The new Goldsmith Theater is housed in a building that is distinctly contemporary and unique in its appearance, creating a dynamic dialogue between old and new. 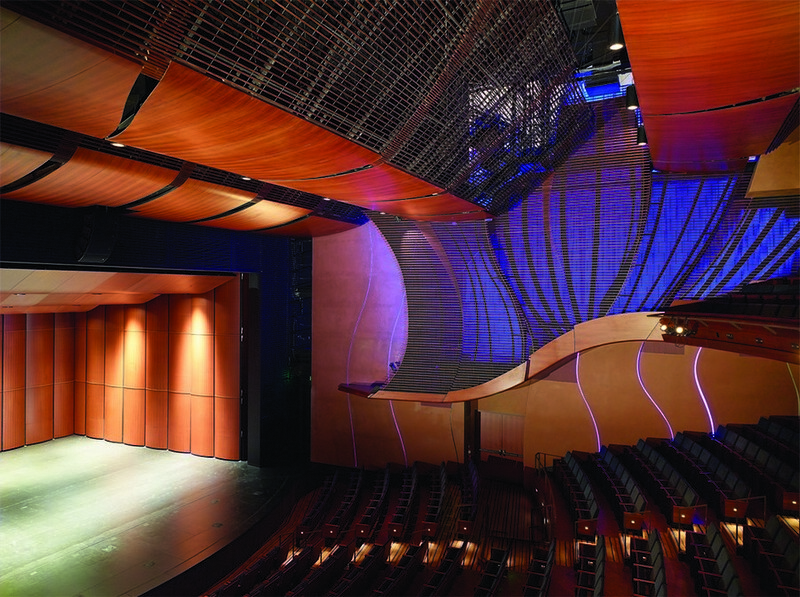 The theater is wrapped in a combination of glazed walls and solid paneling, with the panels taking an abstracted form referencing envelopes that recalls the original function of the site. 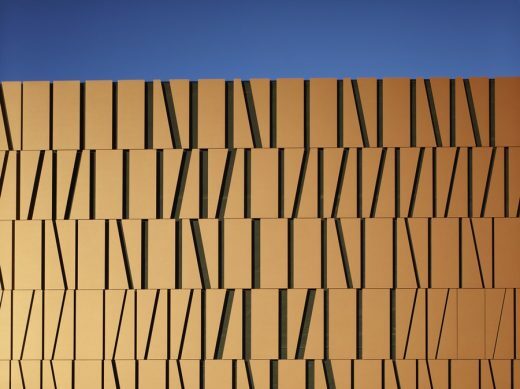 To create a strong visual connection and dialogue between the buildings, the exterior of the new building deliberately adopts colors of the existing Post Office building while the simple geometric form of the new cladding provides a contemporary foil that does not overshadow the ornate detailing of the neo-classical Post Office. Founded in 1988, Studio Pali Fekete architects (www.spfa.com) is a Culver City based multi-disciplinary architecture firm. Renowned for their award-winning team and highly sophisticated technical workshop, the studio’s projects range in size and scope from custom residences to large-scale institutional and commercial projects. 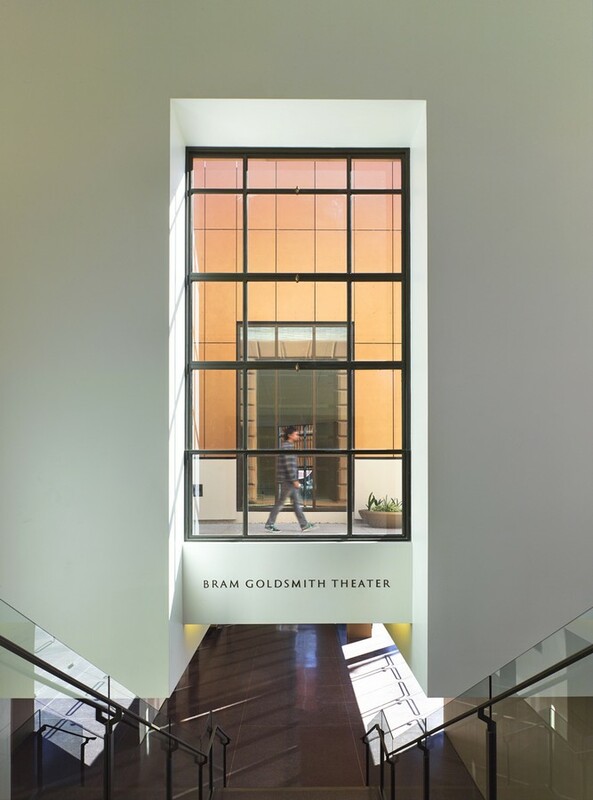 The studio prides itself on a high level of hands-on principal to client involvement and is driven by their belief that architecture is a worthwhile and basic human act that has the potential to transform our world into a better place. 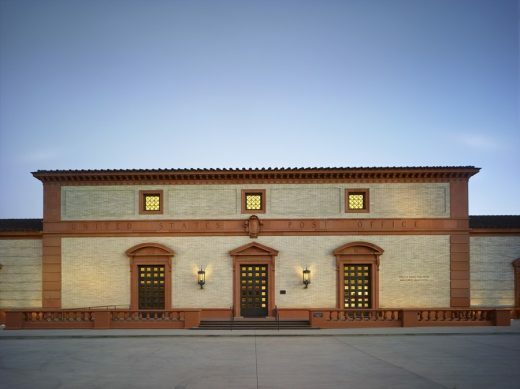 The studio’s approach adheres to the tenets that constant ingenuity and inventiveness – grounded in knowledge and admiration for the tried and true – are the hallmarks of excellent and elegant architecture.